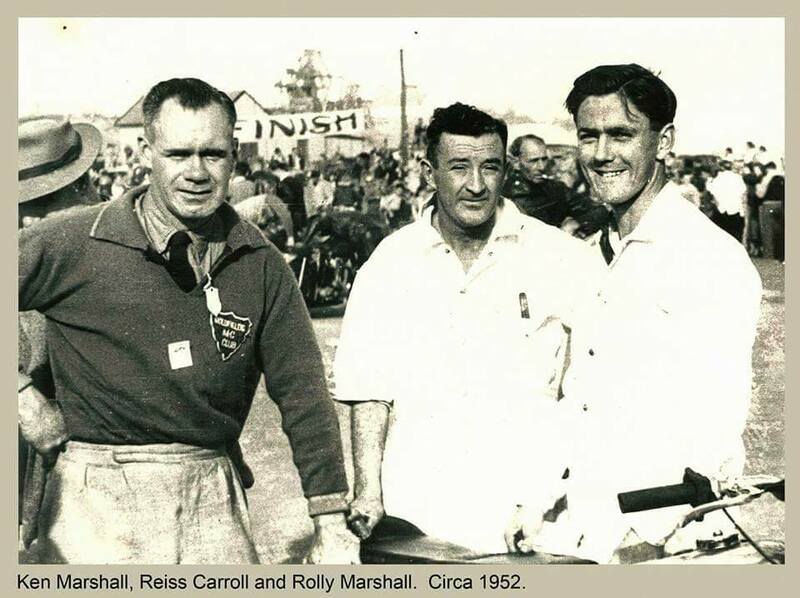 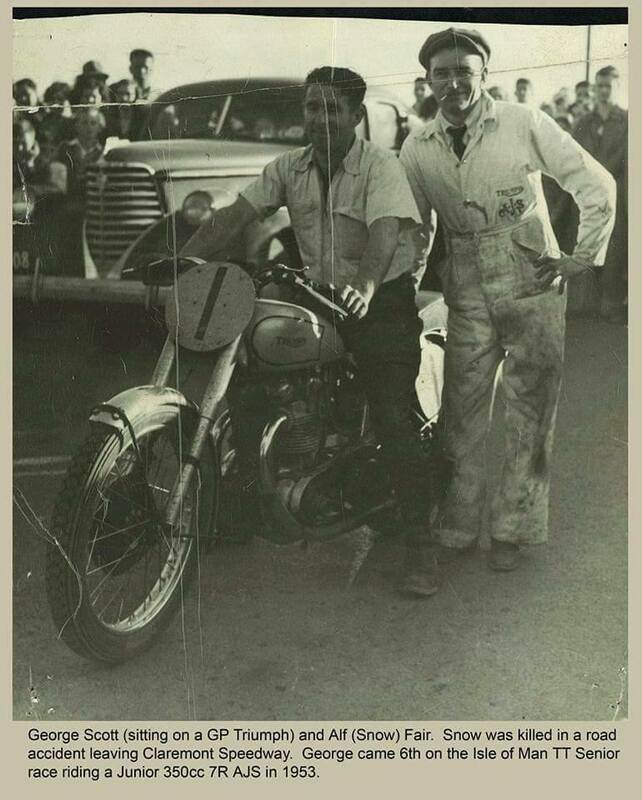 1950 BOULDER "ROUND THE TOWN"
The Goldfields Motorcycle Club were well known for staging the richest paying Around the Houses motorcycle events in the state during the 1950's. 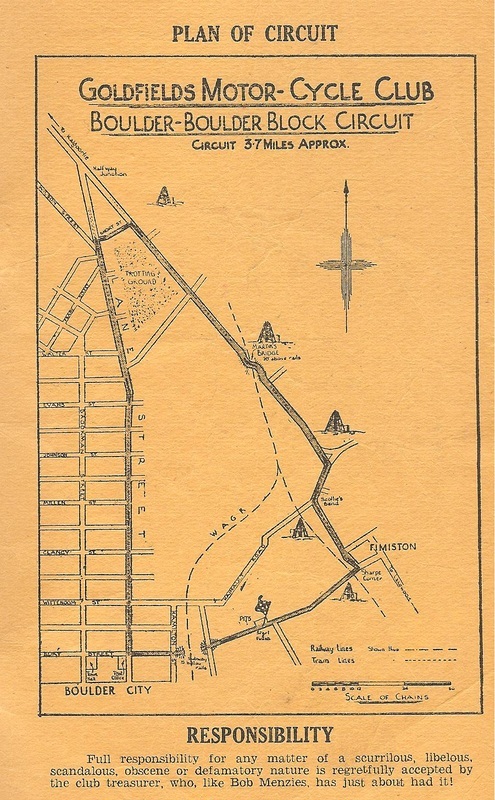 The circuit was a 3.7 mile circuit that ran through the central business area of Boulder. 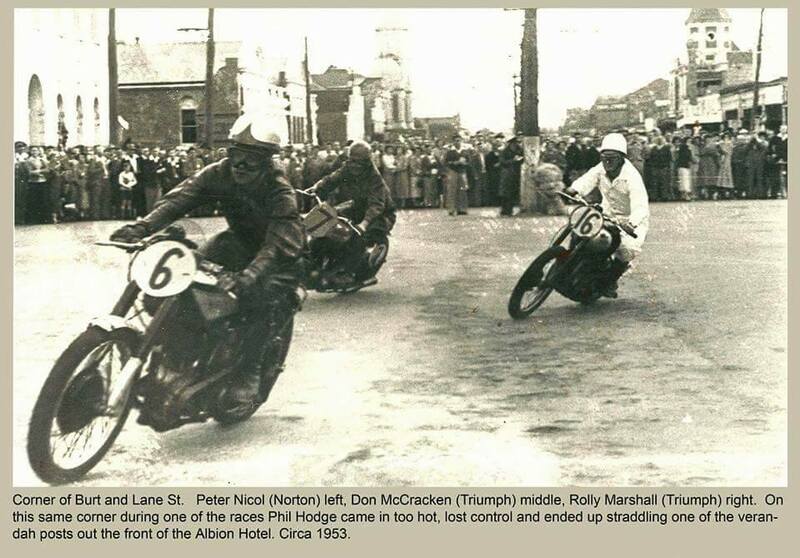 Some of the house hold names that raced the circuit were Peter Nichol, George Scott, Stan Foster and Jack Polkinghorn. 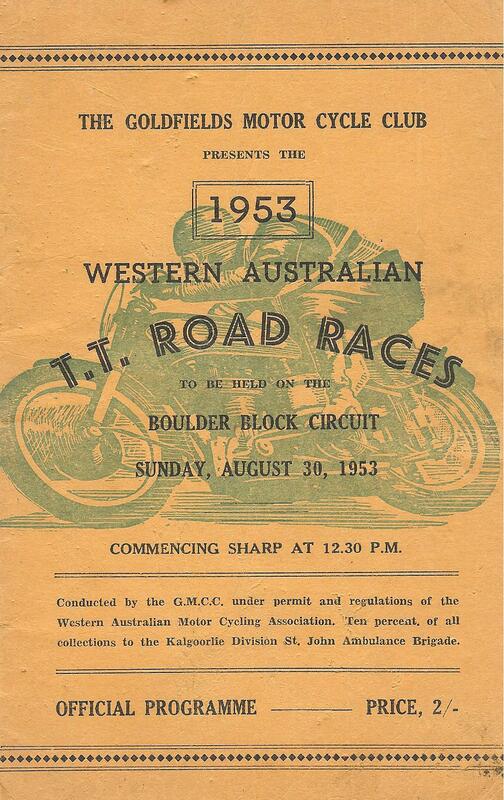 On Sunday the 27th of August 1950 motorcycle racing events were held around the streets of ﻿Boulder. 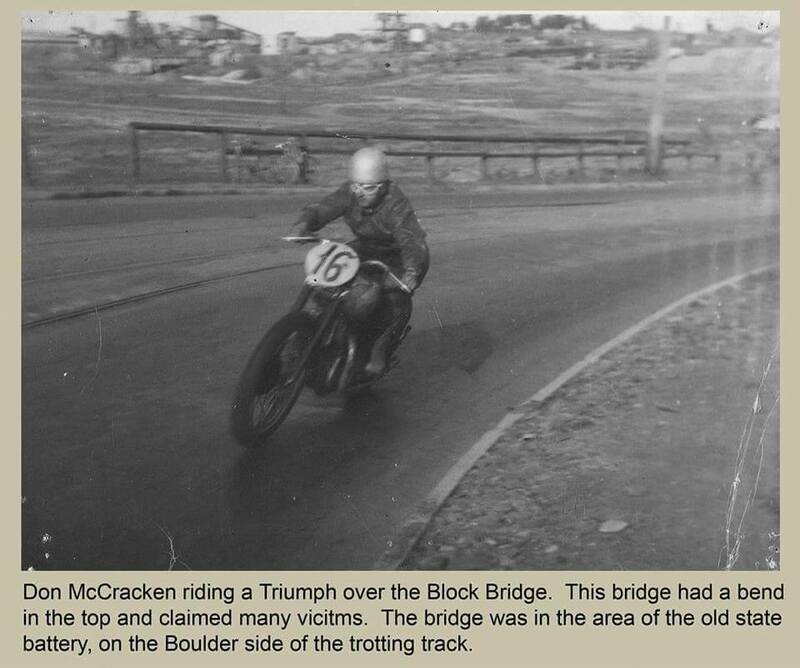 On Sunday the 30th of August motorcycle racing events were held around the streets of Boulder. 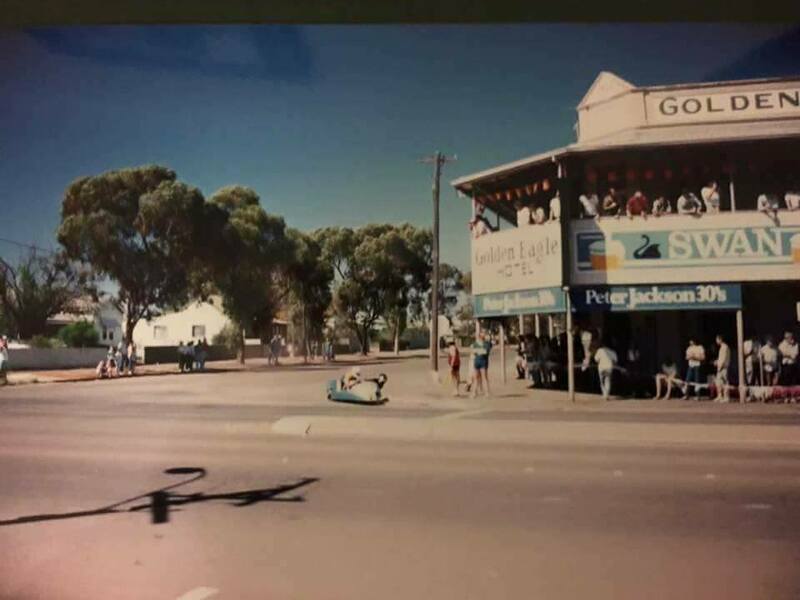 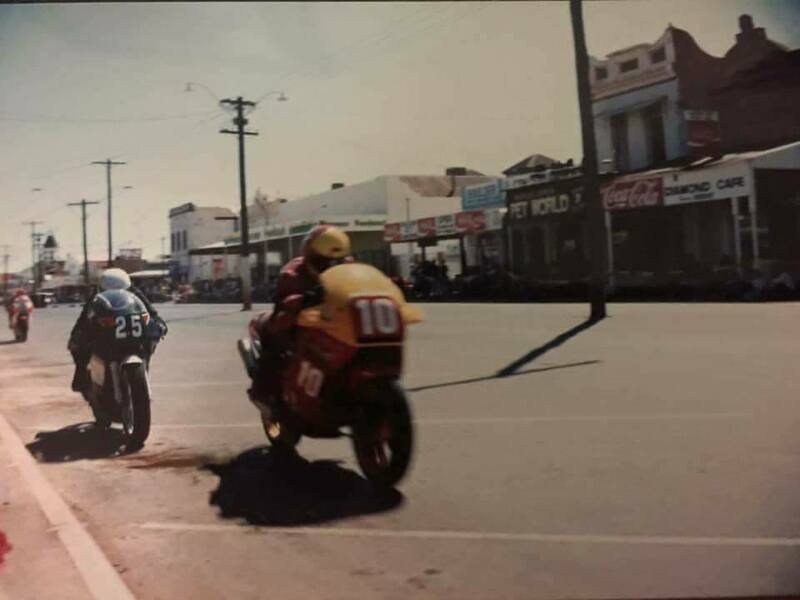 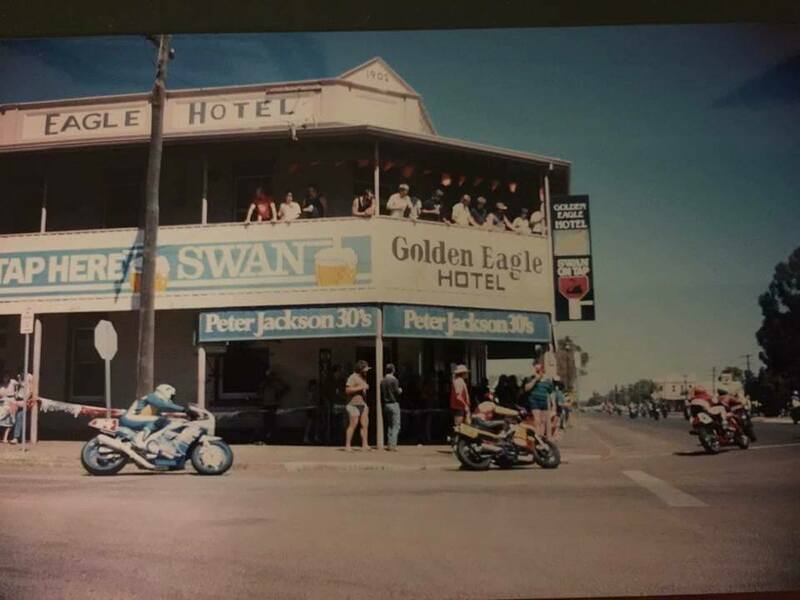 Motorcycle and Sidcar racing returned to the streets of Boulder in 1988 when the Goldfields Motor Cycle Club ran a Around the House race meeting on a shortened version of the original circuit. 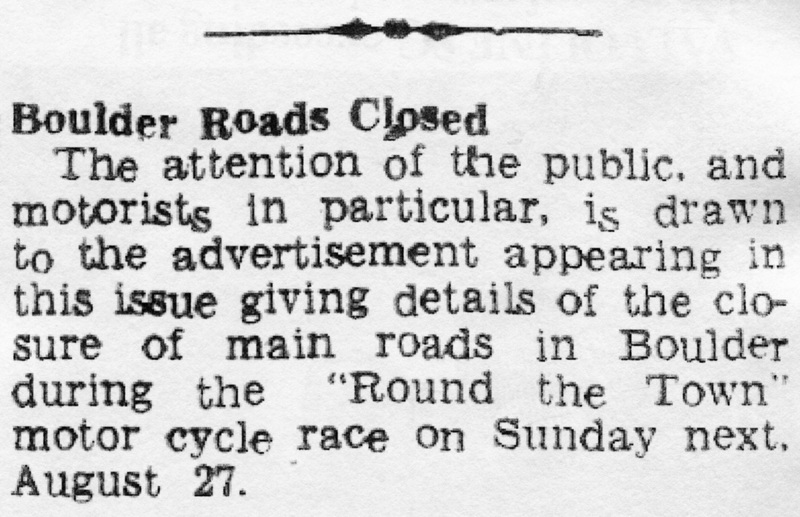 The circuit started in Burt street and took in the Boulder Block Road, Hainault Road, Golden Eagle corner and then back to the finish line on Burt Street. 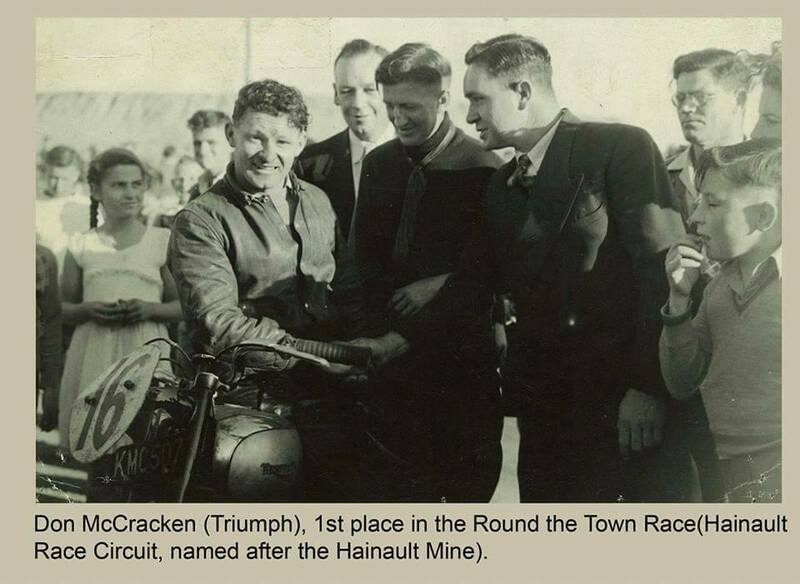 Over 100 bike riders entered the event along with 20 sidecar teams. 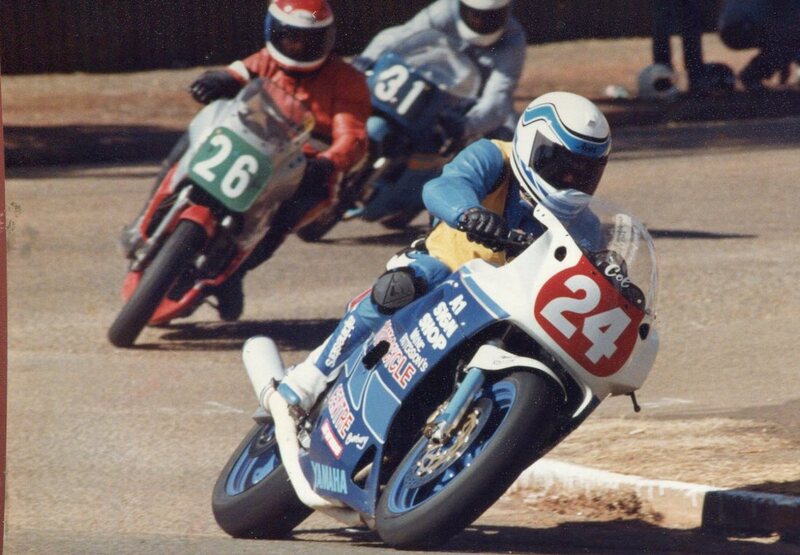 1988 Bunbury rider Coleman Williams on his Yamaha around the streets of Boulder. 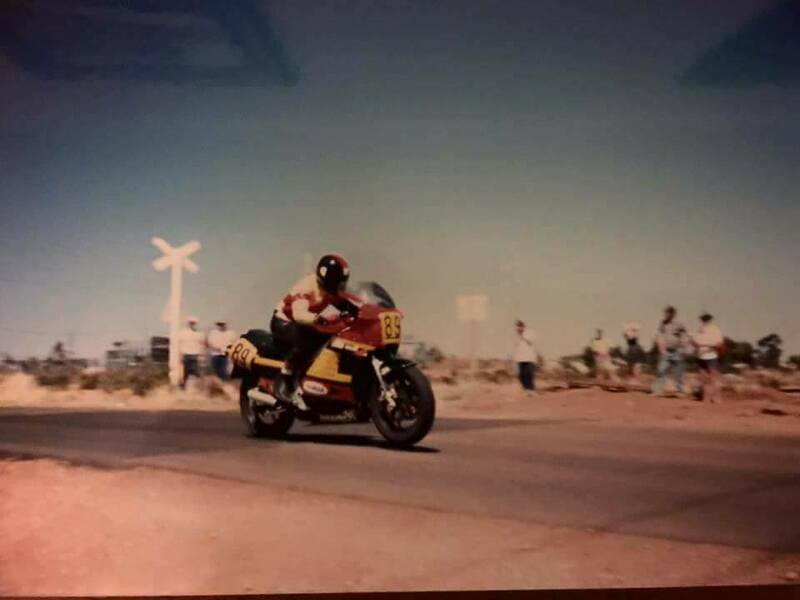 Photo: Michael J Thorman.